Last week, a couple of my friends and I started binge watching "RuPaul's Drag Race." But my newfound love of this reality show isn't because of the extravagant dresses, the wigs and the makeup. It's because men who have been treated differently for their entire lives now have a place where they not only belong but where they are celebrated for who they are. 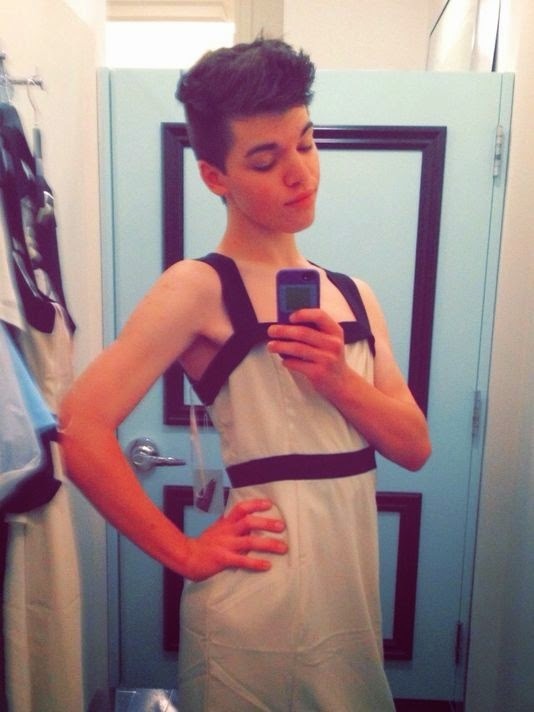 I wish that Leelah Alcorn, 17, whose legal name is Joshua Alcorn, would have found a place like this to be accepted. WXYZ reports that the transgender teen is believed to have lost her life to suicide after walking in front of a semi-tractor trailer on Interstate 71 in Southwest Ohio. 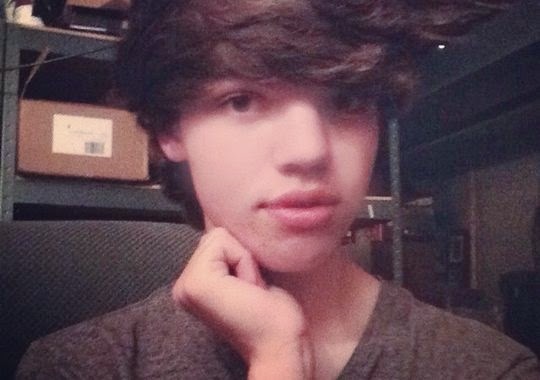 And the suicide note, signed (Leelah) Josh Alcorn, has gone viral. The blog post states, "The life I would’ve lived isn’t worth living in because I’m transgender." She writes that she has felt like a girl trapped inside a boy's body ever since she was 4 years old. She wrote that her parents didn't support her, told her "God doesn't make mistakes," and sent her to Christian therapists, who told her she was selfish and wrong. "If you are reading this, parents, please don’t tell this to your kids. Even if you are Christian or are against transgender people don’t ever say that to someone, especially your kid. That won’t do anything but make them hate them self. That’s exactly what it did to me," wrote Alcorn. Alcorn said her parents treated her like an embarrassment, pulled her out of public school and isolated her from her friends for months. She wrote, "I’m never going to transition successfully, even when I move out. I’m never going to be happy with the way I look or sound. I’m never going to have enough friends to satisfy me. I’m never going to have enough love to satisfy me. I’m never going to find a man who loves me. I’m never going to be happy. Either I live the rest of my life as a lonely man who wishes he were a woman or I live my life as a lonelier woman who hates herself. There’s no winning. There’s no way out. I’m sad enough already." I am not going to pretend like I know how Alcorn feels because I don't. I was blessed that my body and the person I am inside are both the same gender. And I can not imagine what it would be like if this wasn't the case. But, although I don't know what it's like, there are a lot of people in this world who do. And I wish Alcorn would have known that she wasn't alone. I wish she could have seen that she is beautiful and that, one day, she would find someone to love her just as she was. There are about 700,000 people in the United States who are transgender, and there are several support groups that are available, such as PFLAG, formerly known as Parents, Families and Friends of Lesbians and Gays; The Gay, Lesbian, and Straight Education Network and The Trevor Project. I know she didn't believe that life could get better, but in less than a year, she would be 18. She could have moved out and started living her own life. I wish that she could have waited for that. She ended her blog post with, "The only way I will rest in peace is if one day, transgender people aren't treated the way I was. They're treated like humans with valid feelings and human rights. Gender needs to be taught about in schools, the earlier the better." Although this world is more accepting of the LGBT community than it used to be even 10 years ago, there is still a long ways to go. And I wish that Alcorn could have stayed alive to help be that change. Although she has raised awareness of the subject through her blog post, think of how many more people she could have touched in the years to come? In her memory, I challenge everyone to accept those who may be different than you are. If your child, family member or friend comes out as gay, don't ever make them feel like something is wrong with them. Instead, show that you love them no matter what. In the end, it could save their lives. I challenge everyone to live their lives working for the change that Alcorn wanted so desperately to see. Cincinnati City Councilman Chris Seelbach wrote on his Facebook page, "While Cincinnati led the country this past year as the first city in the mid-west to include transgender inclusive health benefits and we have included gender identity or expression as a protected class for many years ... the truth is ... it is still extremely difficult to be a transgender young person in this country."